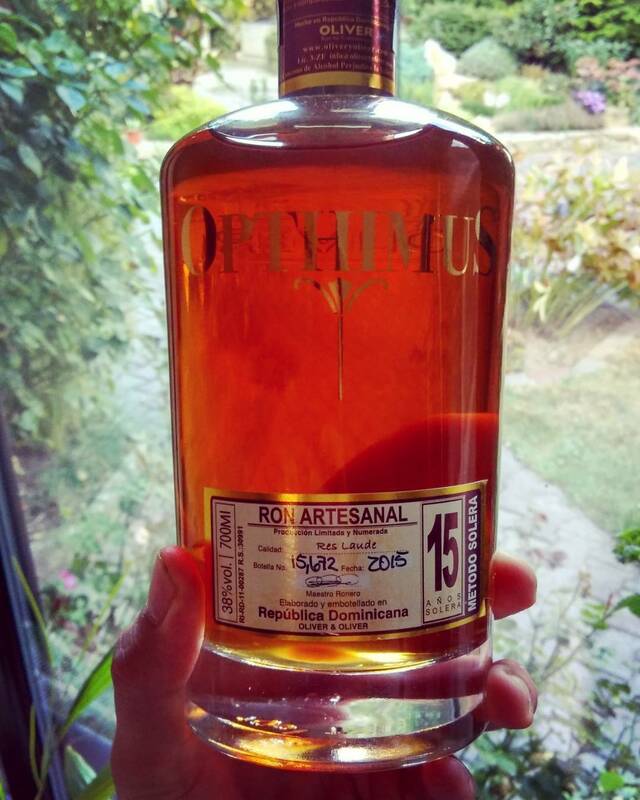 Have you found an online vendor selling Opthimus 15-Year? Ok rum, nothing special but decent. Nothing to remember though. In der Nase, angenehme Aromen von Trockenfrüchten, Banane und Honig. Im Gaumen werden diese Aromen noch mit einer gewissen Schärfe untermalt. In the nose, pleasant aromas of dried fruits, banana and honey. In the palate these aromas are still underlined with a certain sharpness. This rum was an dissapointment the first times i drank it. But after 3-4 Times i disovered the tastes that i had missed. This is a realy good rum! Really more like a 6.5, but I’m feeling generous at the moment. Def heavy on the caramel and sweet note, which I’m totally fine with, but I’m not sure I would make this a go to for a sipper. Plenty smooth and tasty enough to sample though, and ultimately would do in a pinch. Mild und sanft, Honig und leichte Ingwerschärfe, Fruchtigkeit und Süsse. As usual, I walked into one of my favorite liquor stores hoping to buy a specific one and it was not there. 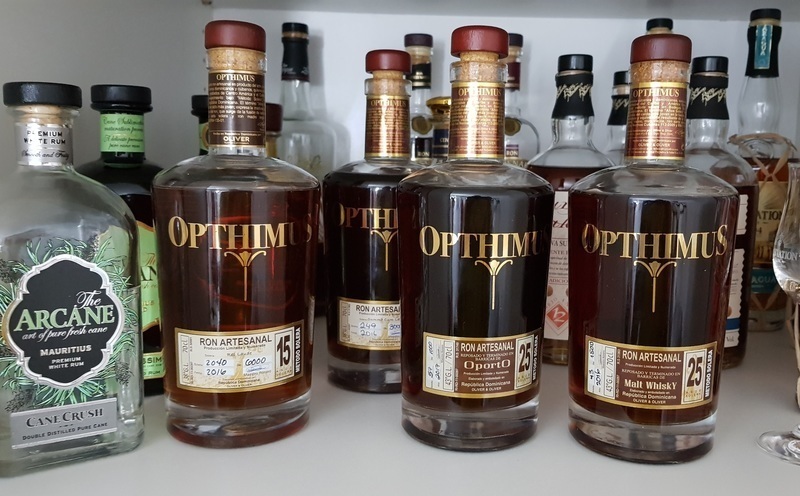 Browsing through what was available, I finally found a rum by Opthimus at only $46, which is still below my $50 per bottle limit. With the name of Oliver & Oliver on the box, I knew that it had to be good since I love their Vizcaya rums by the same company. Mine is bottle number 124 from 2016. It is a 15 year solera rum. I opened it up and poured a snifter, then let it breathe for more than an hour. The aroma and taste are of caramel, with no after burn or horrible taste. It is a very good rum, but not complex enough to make it into my top ten sipping rums. It won't go to waste and I now have another expensive fancy bottle for my collection. I should be thankful that I have already found my top ten after starting out only two months ago. Thanks to all of the reviewers who guided me to the right ones. Ein angenehmer Rum zum geniessen mit einem bleibendem Abgang. Palate: smooth, well balanced, some sweetness, also some slight sharpness, slightly smoky, but the taste is not very voluminous and not lasting very long. Maybe even 8.5, because it‘s really smooth. Den skal bare lige stå og spritte lidt af. Enjoyed back-to-back 25, 21, 18 and 15 year old Opthimus rums this weekend. The 15 year Opthimus was such a disappointment. It was well priced for a 15 year old rum, but man is it nasty when compared to the older siblings! The burn is awful and the flavors are so immature that I would recommend skipping this one. If you want to try Opthimus for the very first time, try the 21 year old and it will set you a very good benchmark. Sød, mild og kort eftersmag. Ikke noget power over denne. Dear readers, i bought this bottle today in a grocercy store. Nice bottle with a real and worthy cap. Nose: dried fruits, candy, caramel. Mouth: banana, more dired fruits, toffey. And nice and long lasting. This will not be my last bottle of this brand. for his Age this Ron as a very smooth & sweet taste Long in the Swallowing. The Opthimus 15y is the entry point in the range of Opthimus. It is quite sweet and easy to drink with pastry flavor and vanilla. Not too complex, this Opthimus can be drinked with no thinking. Tää on hyvää, herkullista ja makeahkoa! Nam. Tätä kelpaa hörpötellä. Blød og rund smag. Duften er en meget behagelig blanding af vanille og kanel. Dufter en anelse sprittet, der gemmer sig karamel, vanilje, og måske rosiner i duften. Smagen er sød vanilje, karamel og fad. Det er en okay rom. Men nok ikke en rom jeg vil ofre penge på selv.